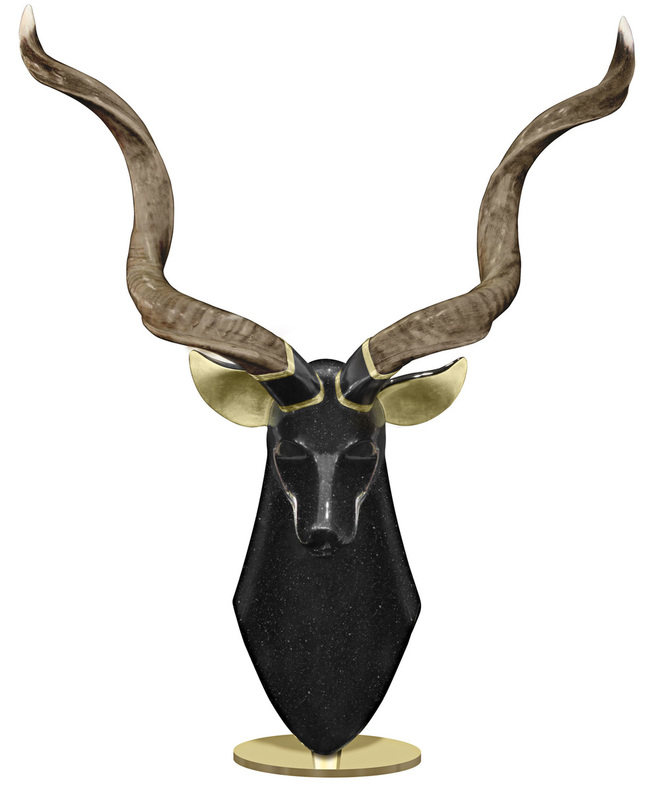 Large and impressive kudu sculpture, head in iridescent gunmetal faux granite nitrocellulose lacquer over a fiberglass casting with solid brass base and authentic horns, by Roberto Estevez for Karl Springer, American 1980's. Roberto Estevez was an extremely talented jewelry designer and sculptor. He designed pieces for Cartier, Van Cleef and Arpels as well as Tiffany. Roberto Estevez was Karl Springer’s life partner until his death in the 1980’s. 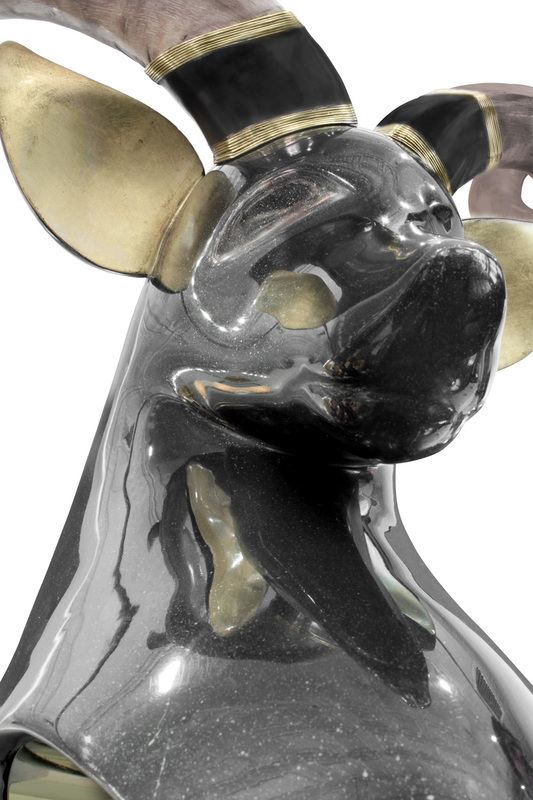 Estevez’s sophisticated and elegant designs fit in perfectly with Karl’s own aesthetic and many of Roberto’s pieces were sold through Karl Springer’s showrooms.